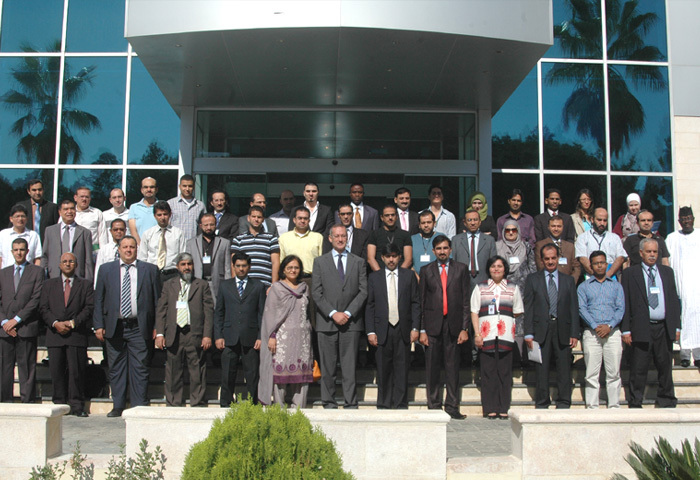 The 2nd COMSATS-ISESCO-INIT International Workshop on ‘Internet Security: Enhancing Information Exchange Safeguards’ was jointly organized by COMSATS; the Islamic Educational, Scientific and Cultural Organization (ISESCO); the Inter Islamic Network on Information Technology (INIT); the Royal Scientific Society (RSS), Jordan; and the COMSATS Institute of Information Technology (CIIT), Pakistan, from September 16-20, 2012, in Amman, Jordan. Hosted by the Royal Scientific Society, COMSATS’ Centre of Excellence in Jordan, the event was second of the series of workshops that are being jointly organized by COMSATS, ISESCO and INIT in their common member countries in order to train IT professionals to collectively address network issues and challenges related to information and internet security. The first workshop of this series was held last year in Damascus, Syria. 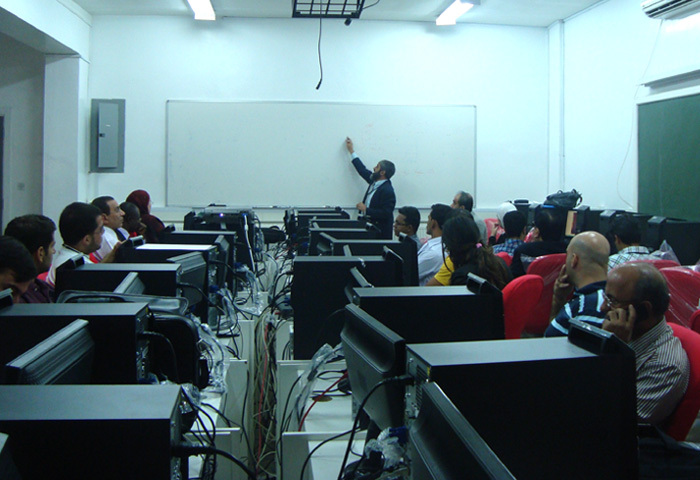 The workshop was inaugurated on September 16, 2012, by Prof. Odeh Al-Jayyousi, the Vice President – Science and Research, RSS. During his Inaugural Address, Prof. Al-Jayyousi stated that the key role for organizations like ISESCO, COMSATS, El-Hassan Science City, and RSS, is to enhance both organizational and societal learning, and to ensure the confluence and fusion of ideas in science, technology and innovation for overall well-being of humanity. He further stated that through the smart use of information and communication technologies (ICTs), we can envision a very transparent society that actively and critically participates in problem-solving and decision-making process, and is secure and capable of better responding to emerging threats and risks in the cyber world. In his message read out on the occasion by a representative of COMSATS, th e Executive Director COMSATS, Dr. I. E. Qureshi, asserted the need to ensure the confidentiality, integrity, and availability of the large amount of critical information on the networking infrastructures worldwide. He opined that in the absence of secure computers and networked systems, individuals and organizations are vulnerable to cyber crimes, computer frauds, telecommunications abuse, and the unauthorized access, disclosure, modification or misuse of information. Conveying the greetings of Dr. Abdulaziz Othman Altwaijri, Director General of ISESCO, Dr. Abdelwareth Sarhan, Expert of Science, Science Directorate of ISESCO, hoped that the outcomes of the workshop will be of great value in strengthening the scientific capacities of the participants and enhancing their skills on protection of computer networks. He further stated that the event would bring together academicians, researchers and practitioners from the fields of Information Technology and Internet Security, thus creating an opportunity for the international community to exchange ideas and discuss best practices in keeping their respective networks more secure. Thanking the Jordanian authorities for hosting the workshop in Jordan, Mr. Naeem stated that INIT aims at directing and encouraging the use of ICTs and associated systems to promote collaboration and cooperation in building human resources and institutional capacity. Other distinguished guests at the Inaugural Ceremony of the workshop included: H.E. Mr. Taofeek Oladejo Arapaja, Ambassador of Nigeria to Jordan; H.E. Mrs. Attiya Mahmoud, Ambassador of Pakistan to Jordan; and Dr. Emmanuel R. Fernandez, First Secretary and Consul, Embassy of Philippines in Jordan. The five-day workshop provided a forum to the young scientists/researchers from the developing countries to learn about the latest advancements in the field of Internet security; promote the use of state-of-the-art technologies for protection of network and network accessible resources from different types of software attacks; and identify effective Internet/information security solutions for general public, governmental organizations and commercial ventures through rigorous risk analyses and security management approaches. Four resource persons of the workshop; Dr. Sheikh Ziauddin (Assistant Professor, CIIT, Pakistan); Dr. Abbas Haider (Research Fellow, Center of Excellence in Information Assurance, King Saud University, Saudi Arabia); Mr. M. Mustafa Khattak (Assistant Professor, CIIT, Pakistan); and Dr. Malik Najmus Saqib (Assistant Professor, CIIT, Pakistan), conducted the workshop under five modules, covering wide-ranging tools to ensure cyber security. 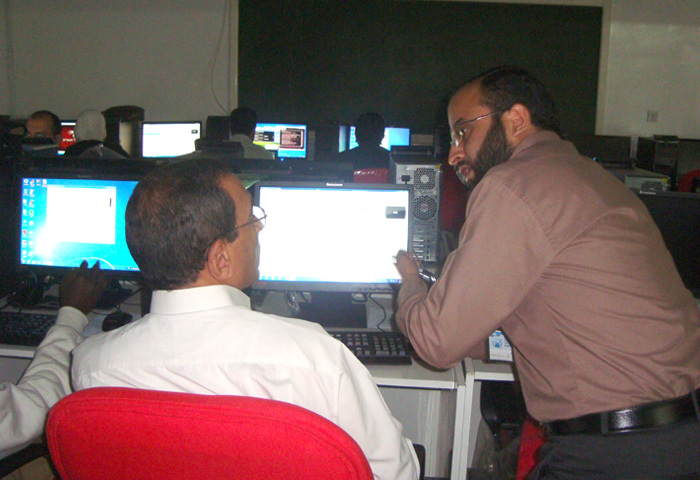 The key topics covered in the workshop included: Network Security; Modern Cyber Attacks, Evasion Techniques and Defenses; Malicious Code Analysis and Detection; Information Security Management; Measuring Security; Ethical Issues of ICT Security; Organizational Security; Hardware and Physical Security; Operating System Security; Android/Mobile Systems Security; Cryptographic Techniques for Network Security; Biometrics Security; Web Security; Social Network Security; and Cloud Security. 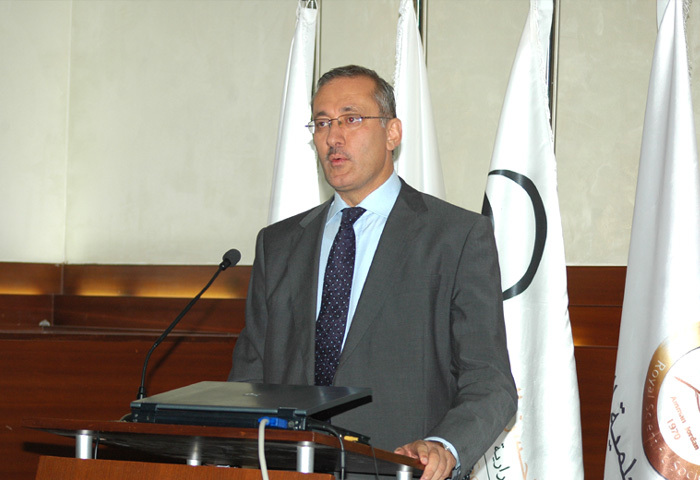 Speaking at the Concluding Ceremony held on September 20, 2012, Prof. Odeh Al-Jayyousi considered international scientific collaboration vital for achieving socio-economic progress in the developing world. He stated that the Internet is a unifying power that must be protected from all types of attacks, cyber crimes and misuse. Representing all the organizers of the event, Mr. Farhan Ansari, Assistant Director (Programmes), COMSATS Headquarters, gave a vote of thanks, in which more collaborative scientific activities aimed at science-led socio-economic development of the Member States were pledged. Around 40 participants from Bangladesh, Brunei Darussalam, Egypt, Iran, Jordan, Nigeria, Pakistan, and Tunisia benefited from the proceedings of the workshop.